Lois begins her advanced classes with a study of one of the Yoga Sutras. This class begins with Sutra 1.36 and then continues with inversions, Adho Mukha Vrksasana, Pincha Mayurasana, Salamba Sirsasana and the backbends listed below before teaching Ujjayi I, II & V, seated Viloma and Nadi Shodana. 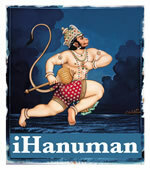 Your Subscription to the iHanuman Newsletter will give You Access to Enlightening Features, Media, and Classes by Devoted Teachers. Subscribe to Our Newsletter.